Have a desk job and hate it? For All Those Who Can’t Quit Their Day Job...Yet! We all see them; the “independently wealthy” that clutter our Facebook/Instagram feed with post-workout selfies and the technicolor acai bowls they're enjoying with a friend (I’m guilty of this). Must be nice, right!?. They had a mid-morning beach run, on a Wednesday. Of course they're in shape. THEY have time. But what about the rest of the world, the one’s with normal, crowded lives? Despite our “So Cal” lifestyle there’s a fairly large sect of the population you won't find us luxuriating in the weight room or loitering at the juice bar. Why? I don’t know, perhaps kids, commutes, responsibilities, a J.O.B., you name it. The only thing there isn’t enough of is TIME. I’ve always been a believer in fitness as a lifestyle. Because the truth is, if you save being active for the "workout", you may never get the chance. We have to carve time out of our lives for it... And sometimes be a little sneaky. 1. Take a Stand - Have you ever heard the term “thinking on your feet”? Beyond a kitschy phrase, there is truth to it. It’s no secret that hunching in front a computer screen is not ideal for your body (and the way most of us make a living these days). It causes neck and back problems and perpetuates a sedentary lifestyle. When you are standing, your blood is flowing, you are more alert and able to think more clearly. And as an added perk, it burns calories. Stand up desks are growing in popularity but even if you (or your employer) can’t spring for a set-up, just aim to spend more time standing, pacing, moving and less time sitting. 2. Take Out - Lunch, the reprieve in your workday. How you spend this valuable 30-60 minutes can decide a lot of things about your afternoon. I always suggest packing a lunch. It just makes sense. It saves you time, money AND calories. I like to know what I’m eating and you’d be surprised to know how many calories are often in your average restaurant meal, even a salad (!). Think protein. This meal will determine whether you experience the dreaded 3pm food coma or not. The crash after lunch is often what prompts afternoon snacking, especially carb or sugar cravings. In another blog, we’ll discuss some good lunch options. 3. Take it Outside – Since you saved all that time by bringing lunch to work, how about getting some fresh air? Even a 20-minute power walk around the block can burn up to 200 calories. My good friend Brian Tabor of Strong Made Simple conducts a twice weekly walking group around lunchtime and it’s been a huge success. But think beyond the burning of calories. This is the mental reboot that can set the tone for your afternoon. You will be more productive, happy and acute after 20 minutes of heart pumping. Wish I hadn’t worked out, said no one ever. And if you have the luxury of a private office or even a private cubicle, here are 3 exercises that can be done at your desk. 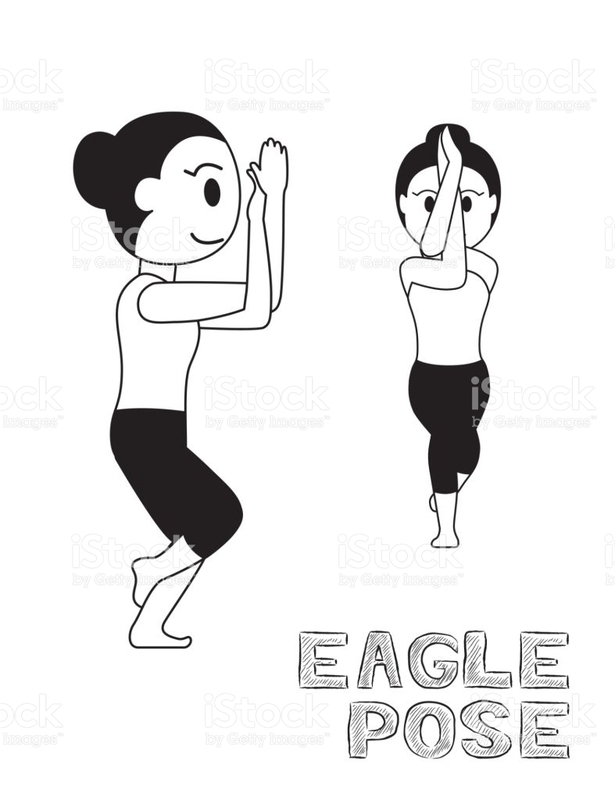 Eagle Pose Arms - This will help stretch the muscles between your shoulders that are most affected by hunching at a computer. The best thing about strength training is the ability to leverage one's own weight. This means that you don't always need a treadmill or Dumbbells. You only need you! Older PostMy "if you did these consistently, you would be more awesome" top 5...plus 3!